Deciding to enter into a CrossFit competition can be nerve-racking. Everyday thoughts running through our head are am I ready to compete? Who will be my partner? And what division is right for me? All of these are valid concerns, and I’m here to help you navigate through them. 1. Am I ready to compete in CrossFit? The short answer to this question is yes! As long as you are confident in the movements listed in the workouts and you have the mindset that you are competing to better yourself, then you are ready! In general, I would recommend having at least six months of CrossFit experience before entering a competition. This allows you to have experience with almost anything thrown at you. It also allows you time to develop appropriate movements standards that you will be expected to hit during the competition. I would also recommend starting with a smaller competition, before jumping into a large scale, well-known competition. 2. Who will be my partner? 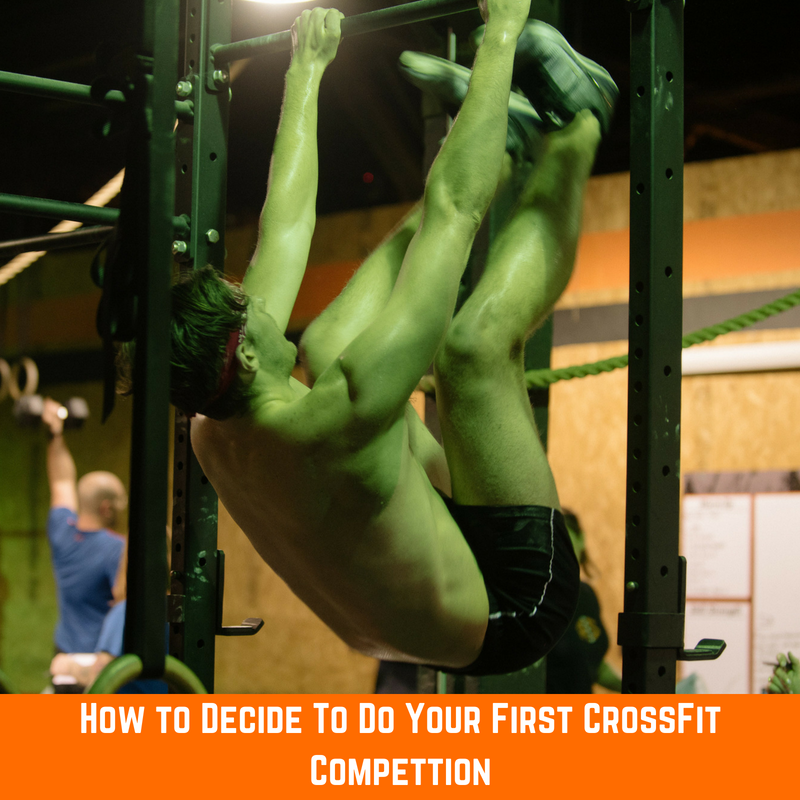 With most CrossFit competitions in our are being teams of two or four, choosing the right partner becomes just as important as the workouts themselves. -Will I have fun with this partner whether we win or lose? -Is my partner at a similar skill set and level as I am? -Would this partner’s strengths compliment my weaknesses? -Will this partner push me to work harder? If a particular person checks off the majority of these boxes, then you are set! 3. Which division is right for me? This is the most important question to think about when signing up for a competition. Often competitions do not release the actual workouts until the week or two leading up to the competition. If this is the case, then they will publish a list of movement standards to decipher whether you should be in the RX or Scaled division. Most of the times these movement standards look very similar to the CrossFit Open meaning the RX division should be able to perform things like Chest to Bar Pull-Ups, Toes To Bar, Handstand Push-Ups, Double Unders, and meet all other normal standards (i.e., 20/14 Wallball to target, 24/20 Box Jump, etc.) The Scaled division would likely then be these movements, little sister. For example, Chest to Bar becoming Jumping Chest to Bar, HSPU’s become regular push-ups or DB Push Press, Double Unders become Singles, and so forth. If after evaluating the movement standards, if you can do at least 90% of them, then I would say go for that division. 1. Can I perform most of these weights safely without increasing my risk of injury? 3. You should be confident that you can complete at least two of the workouts without getting capped. 4. Test the workouts ahead of time. Part of the beauty of knowing the workouts ahead of time is that you can test them. If most go well then you are probably in the right division. If they don’t go as well as planned, then consider switching to a different division for the time being. Keep in mind that these workouts are meant to challenge you in the same way we challenge ourselves every day in the gym. Every workout might not be perfect for you, but if you evaluate these three things and enter with the right attitude, then you are bound to have a great time! Looking to enter your first competition? Click here to register for the Arsenal Throwdown. Last call for early bird pricing and a guaranteed competition shirt is July 31st!